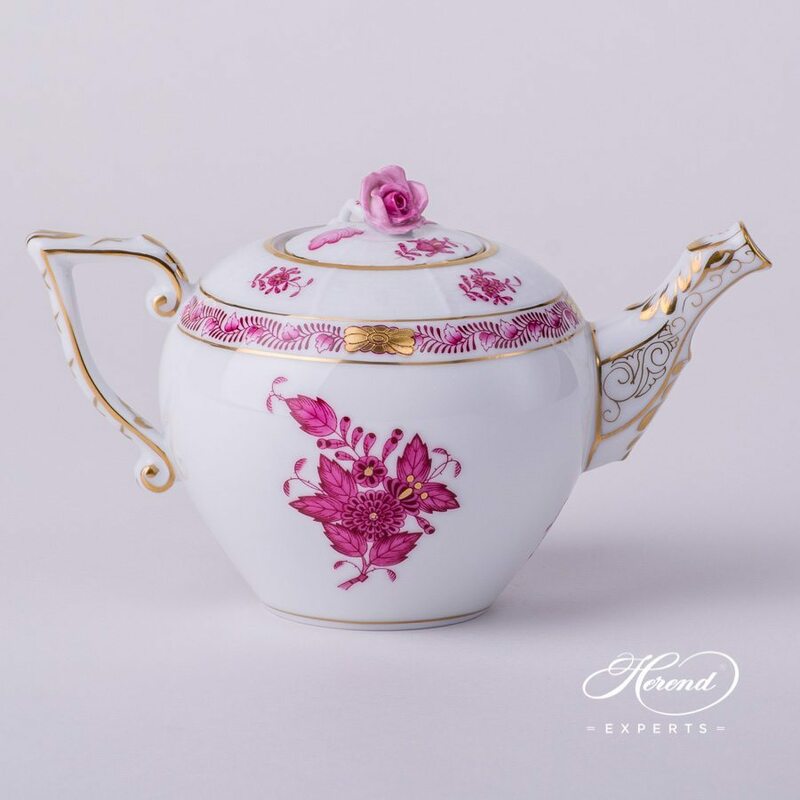 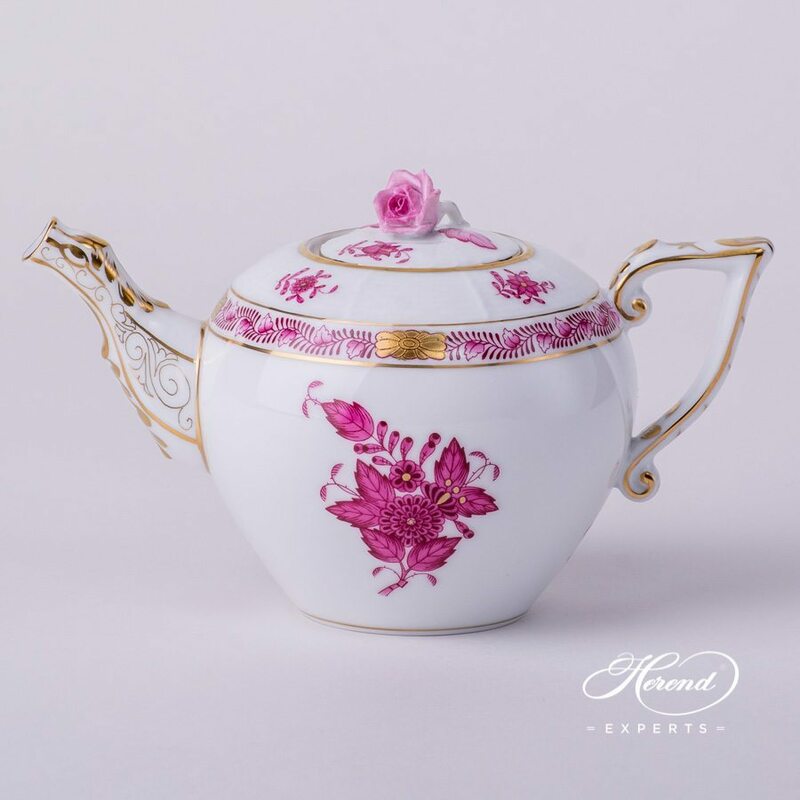 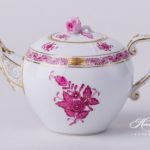 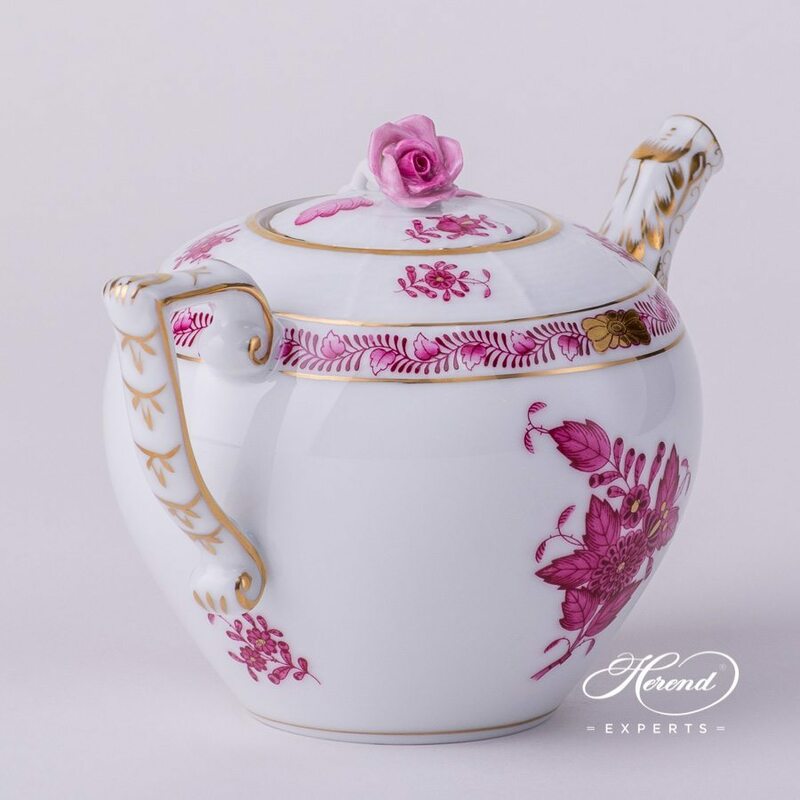 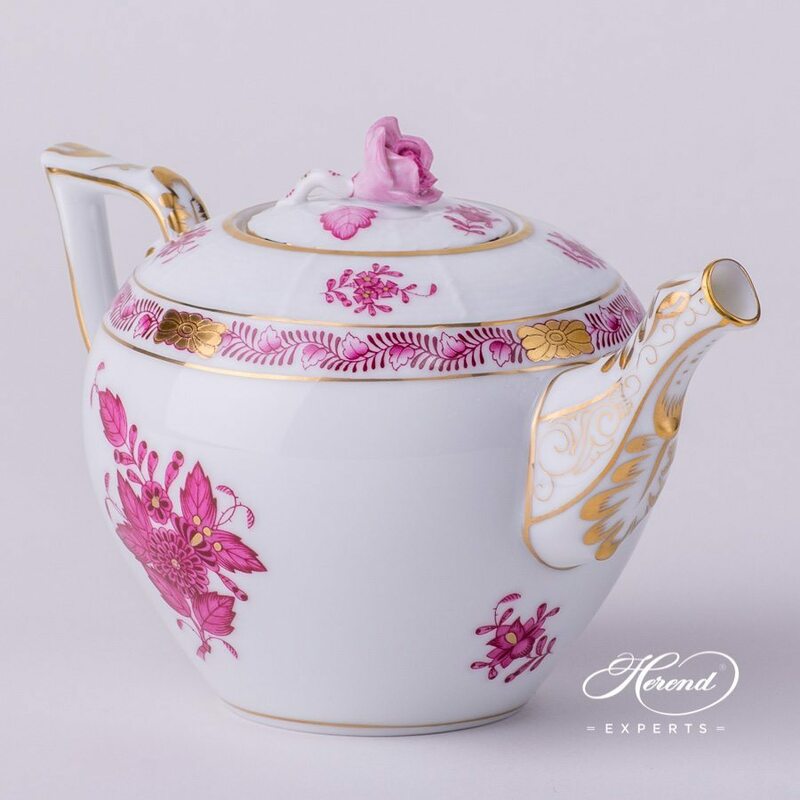 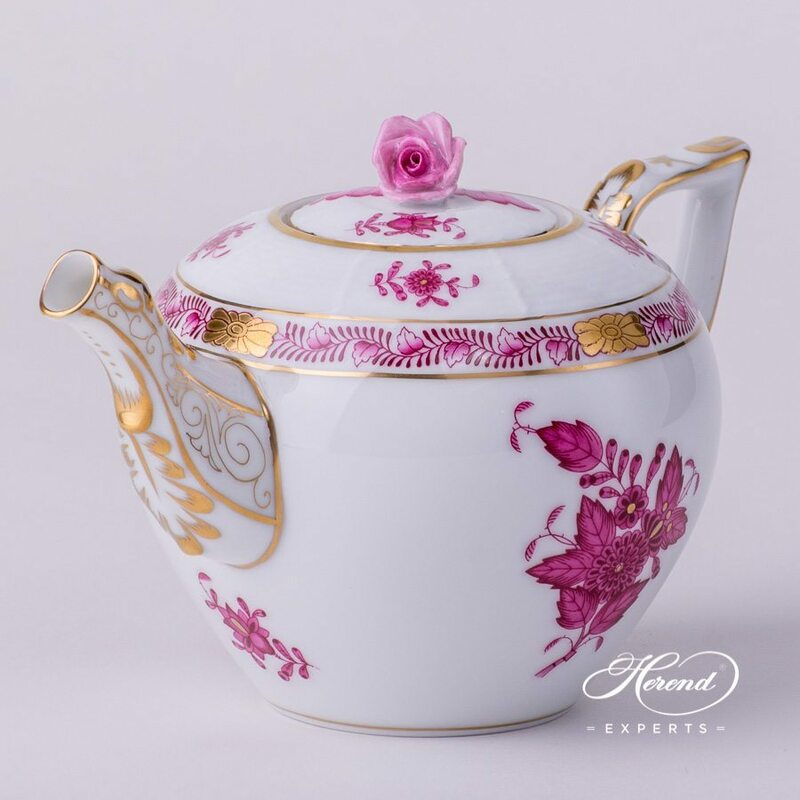 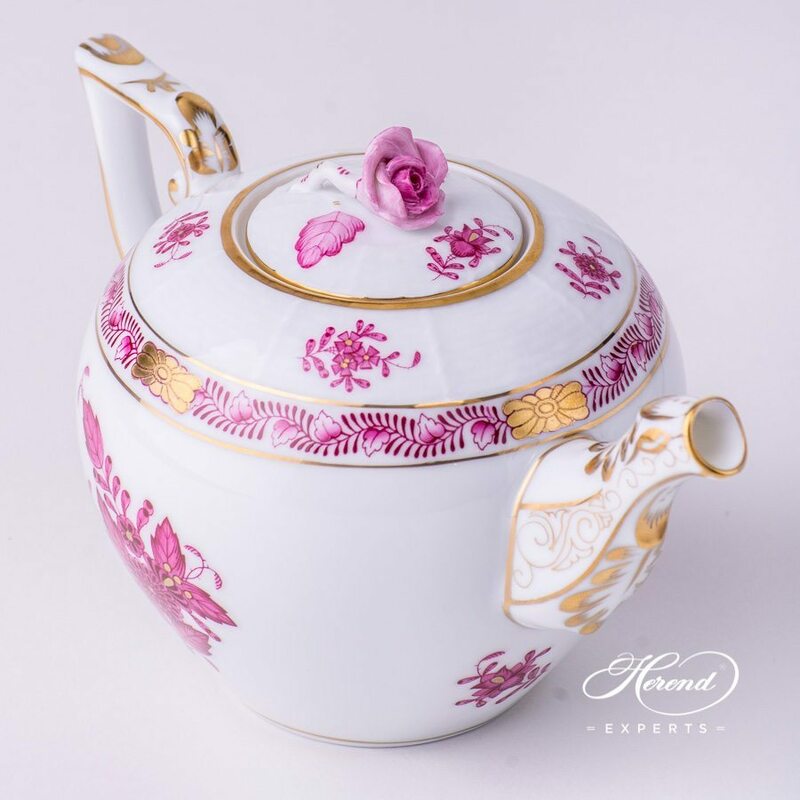 Herend porcelain Miniature Tea Pot with Rose Knob – Herend Chinese Bouquet Raspberry / Apponyi Purple – AP design. 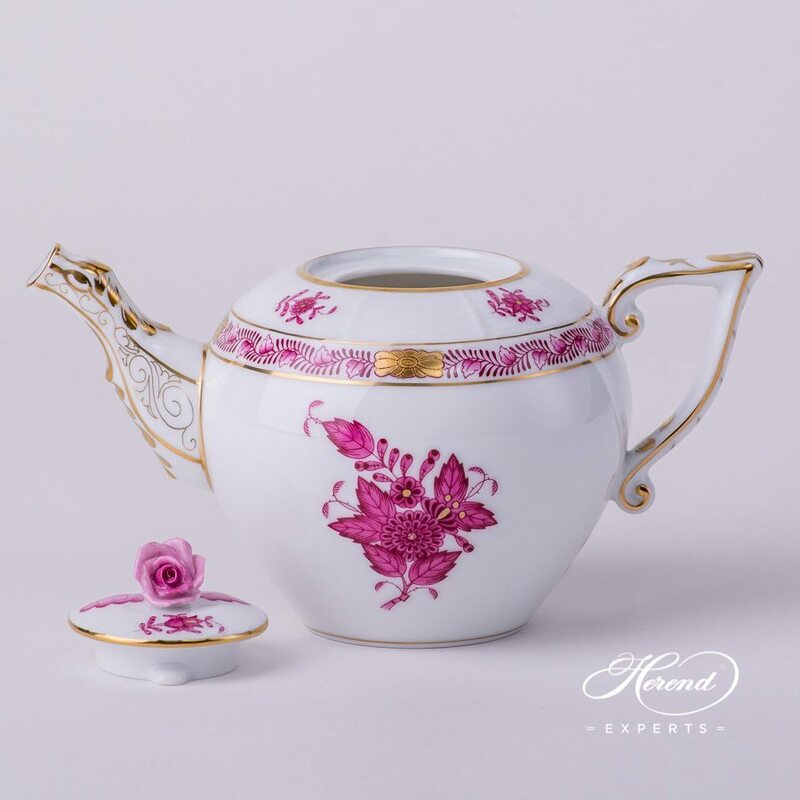 Apponyi Purple pattern in Tea, Coffee, Espresso Sets and Dinner Services are available. 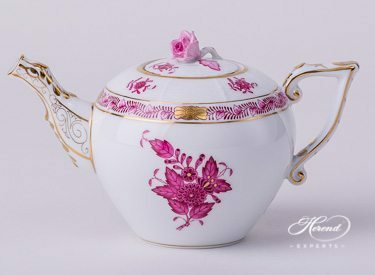 The origin of the pattern is associated with Count Albert Apponyi, for whom this simplified version of Fleurs des Indes was first prepared. 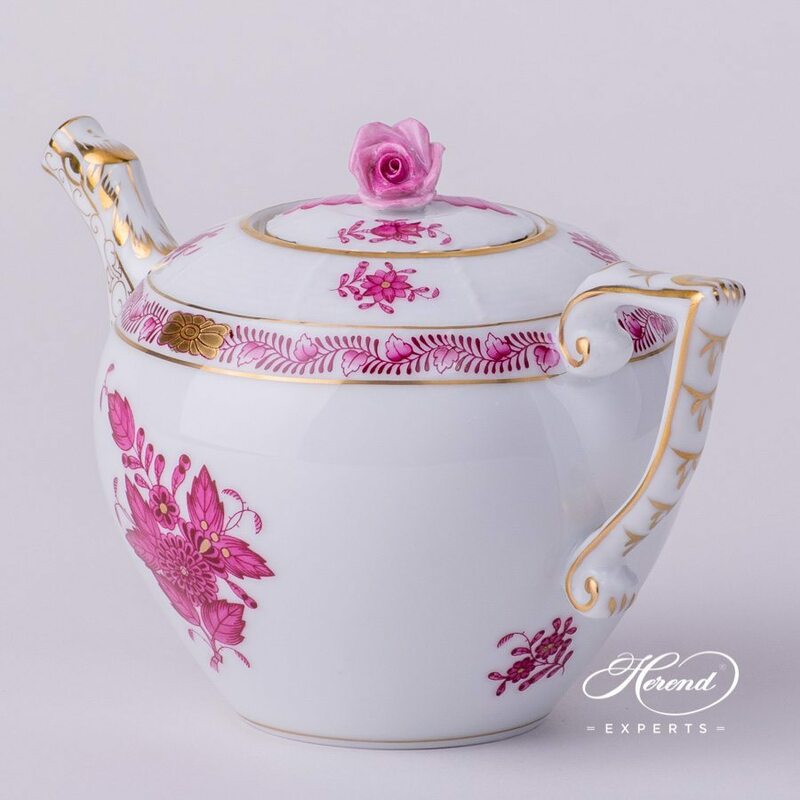 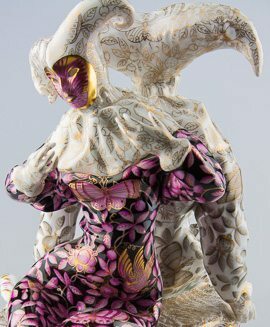 The Apponyi pattern comes in several different colours. 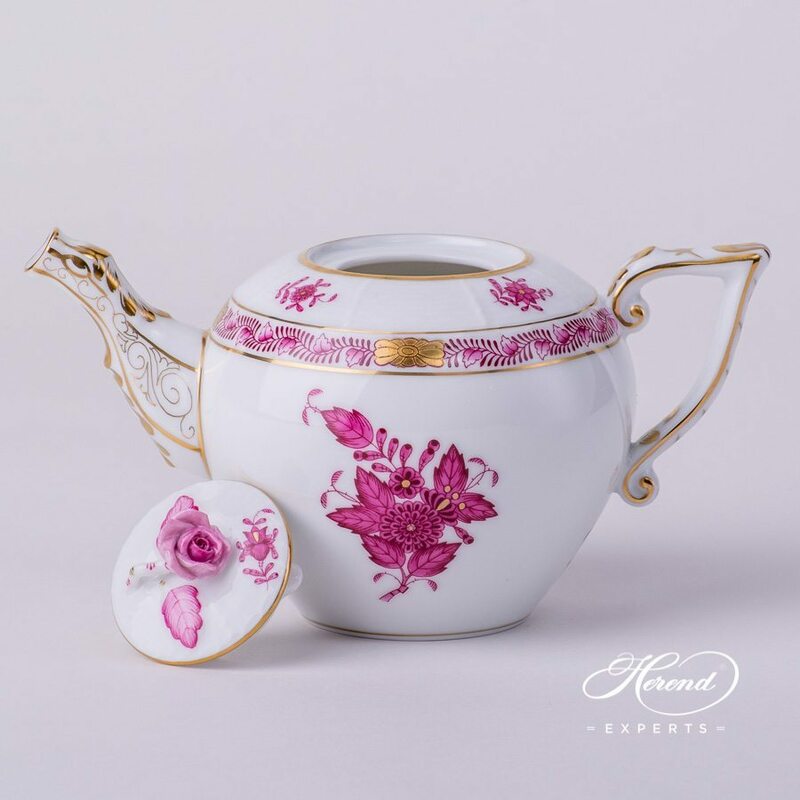 The artists of Herend paint variants in purple, powder pink, green, orange, blue, yellow, lilac, maroon, burgundy, grey, turquoise and combination of colours.